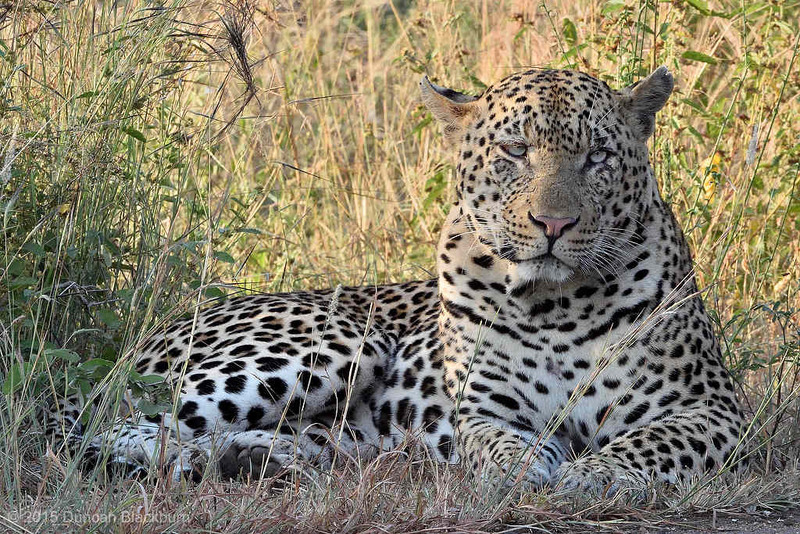 The leopard is one of the five “big cats” in the genus Panthera. It is a member of the Felidae family with a wide range in some parts of sub-Saharan Africa, West Asia, the Middle East, South and Southeast Asia to Siberia. 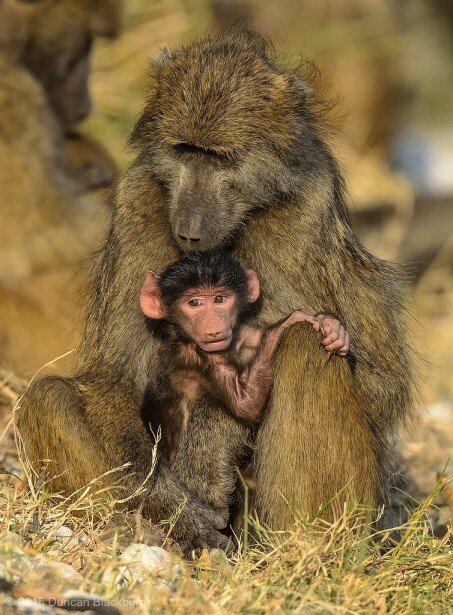 This image was captured in the Kruger National Park, South Africa. A very peaceful scene on the Vurhami River approximately 5 km north of Crocodile Bridge Rest Camp, Kruger National Park, South Africa. It was fascinating to see how lionesses teach young cubs to hunt! The mothers led the cubs to an area where several warthog families were grazing. 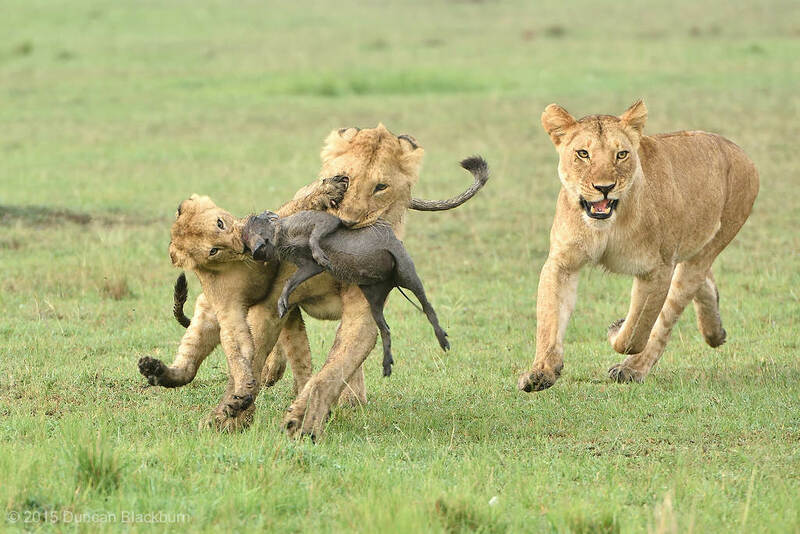 They then separated some young warthog from the family groups and proceeded to lead their cubs in a hunting lesson. In this image a lioness can be clearly seen supervising two cubs (one from last Spring’s breed and a larger one from the previous year) the capture of a young warthog. The tenacity exhibited by the smaller cub is amazing. He was definitely not going to let his elder brother get away with his catch!!! 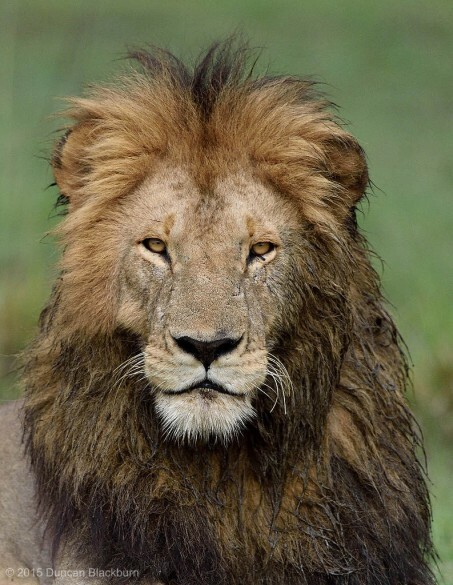 After a night of heavy rain, this majestic male lion views us with some disdain! The lion is one of the five big cats in the genus Panthera and a member of the family Felidae. The commonly used term African lion collectively denotes the several subspecies found in Africa. With some males exceeding 250 kg (550 lb) in weight, it is the second-largest living cat after the tiger. Wild lions currently exist in sub-Saharan Africa and in Asia. 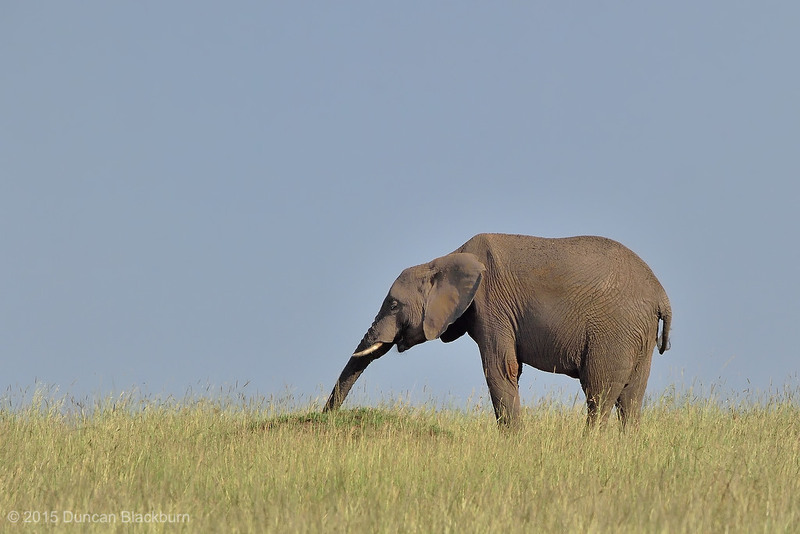 A further illustration of the clean and clear backgrounds that are possible in the Masai Mara. 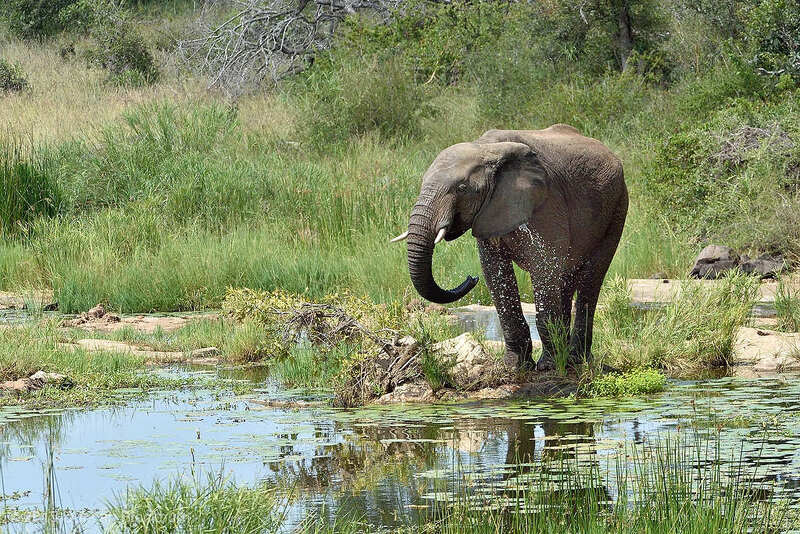 This young African Elephant was taking a drink from a small pool situated on the crest of one of the many ridges in this part of the world.